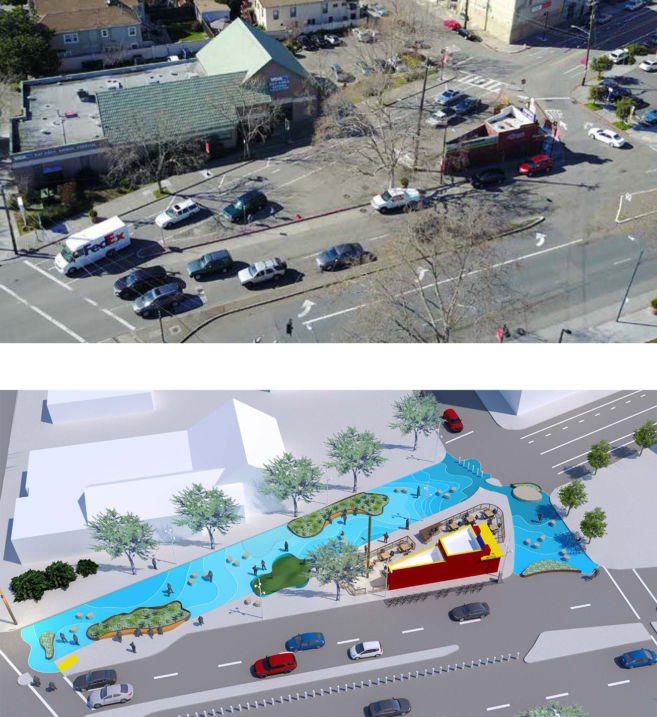 "We're looking to get thorough community feedback on our concepts for a pedestrian plaza," said Shifra de Benedictis-Kessner, executive director of TTBID. The TTBID aims to improve traffic, promote bicycle and pedestrian safety and encourage people to use the space as a gathering spot. As they consider design proposals organizers are striving to ensure a space that will be "functional, safe, beautiful," said de Benedictis-Kessner. "The intersection of 45th & Telegraph has been a site of a lot of pedestrian incidents," they said, citing the flashing yellow traffic lights and unusual street grid as safety concerns. As part of the permitting process, the TTBID piloted a street closure earlier this year to test neighborhood response and traffic patterns. The city found no significant impact to business, residencies, or access to the nearby Benioff Children's Hospital. Once the plaza is established, the Kasper's building will remain. "We can't really touch that," said de Benedictis-Kessner. 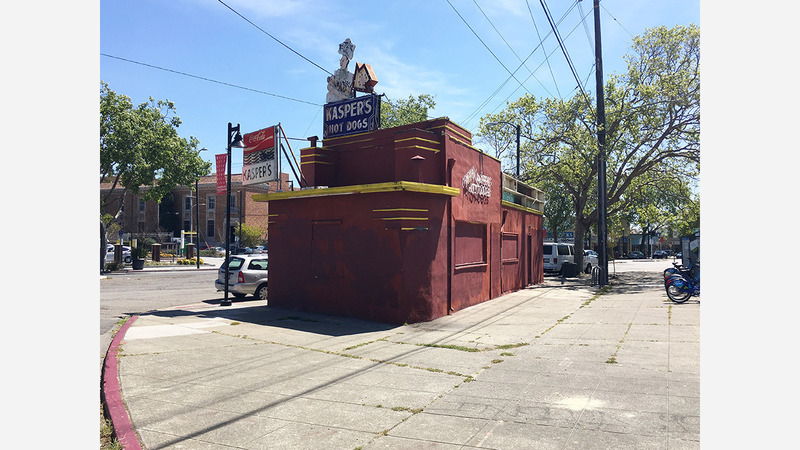 Kasper's or no, de Benedictis-Kessner said refitting the surrounding space with seating, tables, artwork, plants and a play area would be a great community benefit. The three redesigns put forward by Groundworks also include bike lanes and space for food trucks and movie nights. The TTBID aims for redesigns that will be successful with or without an open business adjacent. "We'd love for there to be an open business," said de Benedictis-Kessner. "The hope is the plaza will give more incentive to make that a vibrant open business," she said.